Although I did not support the bill from a law enforcement perspective, I do have a problem with a single, powerful senator blocking a bill from being discussed in a committee, especially when it would affect the state’s 1.5 million concealed weapons licensees. I would not bet against an open carry bill coming back before the legislature in the next session. This entry was posted in Concealed Carry, Firearms. Bookmark the permalink. I can see this having a much better chance of passing once a full year has passed of Texas having open carry, and Florida is able to take a look at how everything went. But, tourism, and the financial gain/loss, is still the biggest hurdle. Too many tourists from Anti-Gun states and countries. 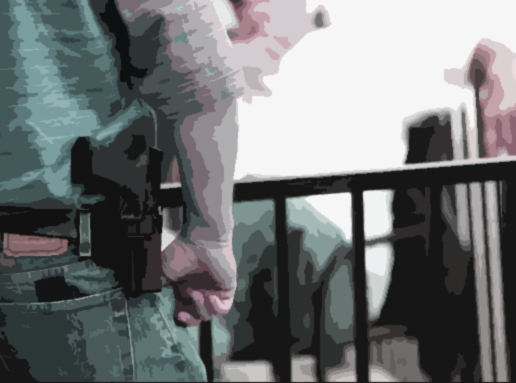 Missouri and some other States have had “open carry” laws for decades. Thankfully, not too many people exercise their right under those laws. As an NRA Life Member I am very supportive of the right to own, possess, and carry firearms. As a law enforcement officer I see unintended consequences of open carry. First, you telegraph to all (bad guys included) that you have a firearm. Second, it creates a greater chance of unintended contact – bumping into something, curious idiots, or potentially having the firearm dislodged if the holster does not have retention features and high quality. Third, it can push neutral opinions on firearms more towards the gun control lobby because they find the behavior “in your face”. Now, what I do like about “open carry” laws is that it removes the potential for criminal prosecution should a lawful CCW permit holder inadvertently have their firearm become exposed. Also, if a gun owner is carrying firearms from a residence to a vehicle, or similar circumstance, there is no chance of criminal violations. My suggestion is this – get a concealed carry permit, train with your firearm regularly, and carry all the time concealed. You know you have a firearm, you get to carry a firearm, and nobody else has to know. A very thoughtful reply, Aaron. I strongly agree with you. It’s among three gun bills he’s killing this session by not granting them hearings in his committee, a powerful prerogative that committee chairman have.